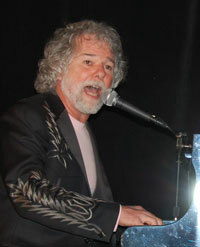 A highlight of the last evening of the National Biodiesel Conference was an appearance by Rolling Stones keyboardist Chuck Leavell, sponsored by New Holland. Chuck says it was a great pleasure to engage with people who are excited about the changes coming in energy usage. “I’m here to tip my hat to the biodiesel industry,” Chuck said.